If you cancel your child’s place prior to 1st December you will be entitled to a refund less an £275 Administration Fee. If you cancel your child’s place after 1st December, monies will only be refunded at the discretion of the Mazkirut and SMT, even if you cancel your child’s place for medical reasons, for which a signed note from a doctor will be required as proof. As a charity we aim to cover costs and not make a profit. Therefore should you wish to remove your child from our activities during camp, Sinai Youth will not be liable for, or make any reimbursement. This includes, but is not limited to, early departures for medical reasons and homesickness. Sinai recommends that no expensive items and gadgets are brought to camp. Sinai Youth cannot take responsibility for the loss of, or damage to, any personal property taken to any of our camps. Please ensure your child’s belongings are covered by your existing household or travel policies or that you have taken out adequate cover. We operate an ‘Opt-Out’ System whereby we may publish photos of your child on our brochures, website, in newspapers, social media (this list is not exhaustive) unless you opt out from this. Therefore, please email camps@sinaiyouth.org if you do not want images of your child to be published. Any child who damages the property of Sinai, a fellow participant, the campsite or any other property may be charged in full for any costs incurred at the discretion of the SMT. Should the individual not be traced, the costs may be incurred by a group of individuals such as all the members of a certain dormitory. Sinai prides itself on making sure that all of the food served on camps is to a very high standard in quality and serves three meals a day. 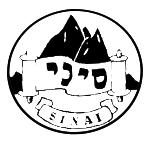 Sinai maintains a high level of kashrut and are in constant contact with both the London Beis Din and Rabbi Kimche. We do not advise participants to bring a lot of spending money with to camp as Sinai takes no responsibility for its loss. This year we will be running a tuck shop on camp where participants can stock up on food and drinks. There is an option to add on tuck money on the registration form, which can be debited off by the participant during the course of camp. Any remaining money will not be credited back at the end of camp. Sinai reserves the right to refuse to sell an item to a participant at the discretion of the SMT. There will be an option to buy the t-shirt of the camp on the registration form. Each camp will have its own colour coded t-shirt and if you manage to build up the full collection of t-shirts you will be entered into a draw to win a half price place to Israel Tour in Year 11!